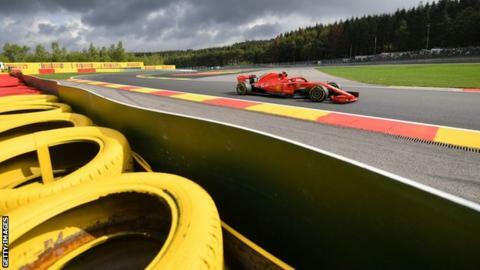 Ferrari's Kimi Raikkonen pipped Lewis Hamilton's Mercedes in second practice at the Belgian Grand Prix. Raikkonen set a lap of 1min 43.355 seconds, beating Hamilton by 0.168secs on their qualifying simulation runs. The second Mercedes of Valtteri Bottas was third, 0.448secs away, while Hamilton's title rival Sebastian Vettel had a scrappy session and was fifth. Vettel made errors on his fastest laps and was beaten by Red Bull's Max Verstappen. However, Mercedes and Ferrari appear to be very closely matched - not just from the qualifying pace but also from the drivers' performance when they ran on race fuel loads later in the session. Then, Hamilton, Bottas and Vettel were all lapping within 0.1secs of each other on average on the super-soft tyres on which they are expected to start the race, suggesting the race is very tough to call and that the fight for pole position will be intense on Saturday. Hamilton might have more time in him - his lap did not look the cleanest. But it is hard to make any judgements after Friday's running, not least because both Mercedes and Ferrari have upgraded engines for this weekend and will not be running them anywhere near their maximum until qualifying on Saturday. "The car felt not yet where I wanted it to be, we need to do some work," said Vettel. "Kimi was a bit happier on one lap. We still have a bit of time so we'll see." "We've brought a new engine today and everything was running smoothly," said Hamilton. 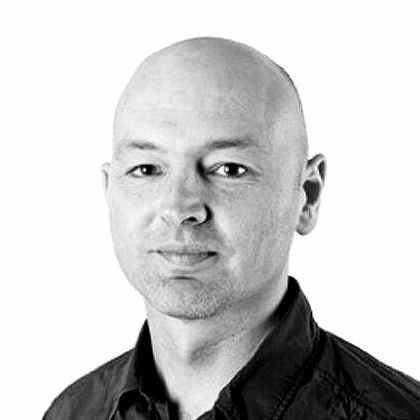 "It's really close between us and Ferrari; it seems like we've both been bringing new updates at a similar rate. "There were some spits of rain on certain parts of the track in FP1, but in FP2 it was nice and dry. I hope it stays that way as this track is just awesome to drive in the dry." Fernando Alonso looks set for a dispiriting first weekend with McLaren after announcing he will retire from Formula 1 at the end of the year. The Spaniard managed only 16th fastest time, with team-mate Stoffel Vandoorne slowest. The McLaren's high drag levels are being exposed on this track where the importance of straight-line speed and engine power is among the highest of the season. There was a huge gap between the top three teams and the rest. Sergio Perez was an outlier in the Force India, just 0.4secs behind Daniel Ricciardo's sixth-placed Red Bull and 1.3secs off the pace. But Carlos Sainz's Renault in eighth place was 0.8secs slower than Perez, 1.2secs slower than Ricciardo and 2.1secs behind Raikkonen. Predict who will top the podium at Spa? Who will be rejuvenated by a weekend at Spa? The Saubers of Marcus Ericsson and Charles Leclerc completed the top 10, ahead of Renault's Nico Hulkenberg, the quickest Haas of Romain Grosjean and Force India's Esteban Ocon.